Eco-innovations mean much more than clean water and air in big industrial cities, revitalization of small and big Ukrainian rivers, health and wellbeing of citizens; it is more than energy independence. They also bring about new hi-tech jobs, science-driven products, innovative companies and green startups. It is a transformation of big companies and new possibilities for small and medium businesses. — Participants of this Forum can consider themselves pioneers of a new green vector of Ukraine’s development. As well as Ukraine–European Union Association Agreement has more than 800 pages of solemn text after its Preamble, in our movement towards green climate-friendly economy we have a long way yet to go after declaring our will. On our way we have to create new tools, products and ideas to achieve our goals. 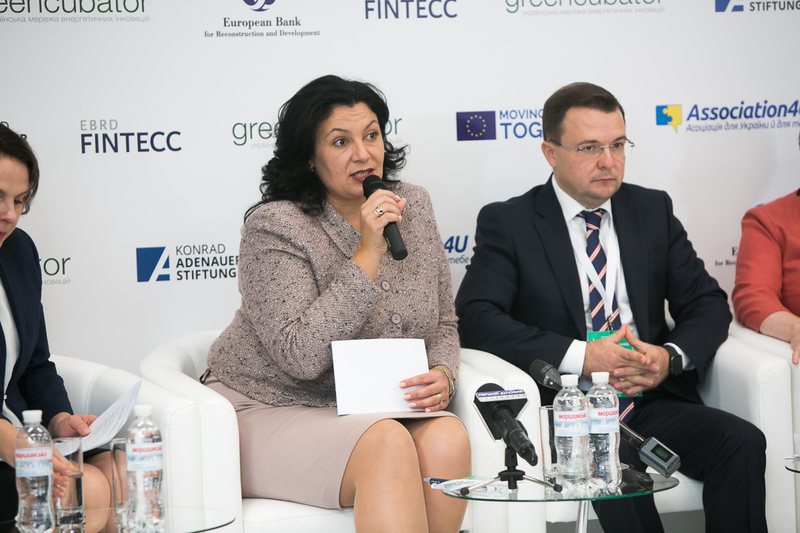 Ukrainian government provides support for those Ukrainian companies which break through a way for green economy. Ukraine was among the first countries to ratify the Paris Agreement, but there are many tasks to be solved yet in order to become a real leader in a battle with climate change. That includes business, scientific, governmental as well as legislative initiatives. — I would like to express my deepest respect and gratefulness to those who lead us on this eco-innovative road: companies, conquering the green market; scientists, working at laboratories; engineers, doing their researches etc. It is crucial for a further movement to have a team of leaders, those who can open the new doors and create new possibilities for the rest of us. All of them, who breaks through a new way for green economy, will be supported by government, and by me, personally. Ukrainian green export on the rise, among other things, thank to the european partners’ support. Ukraine is the first EBRD operation countries implementing the “Climate Innovation Vouchers” programme. It is the biggest grant programme in Ukraine, created to support companies with green climate-friendly innovative products. This programme is launched as a part of the EBRD program “Finance and Technology Transfer Centre for Climate Change” (FINTECC), funded by the European Union. 26 Ukrainian innovation companies won a grant under it already — and most of these products are export-oriented. — I am very grateful to European Union for all that support Ukrainian sustainable and green business gets from EU partners. A lot of Ukrainian green innovators, some of them are here today, have gotten support and grants under the Horizon 2020, InnoEnergy initiatives, Climate KIC programmes, etc. 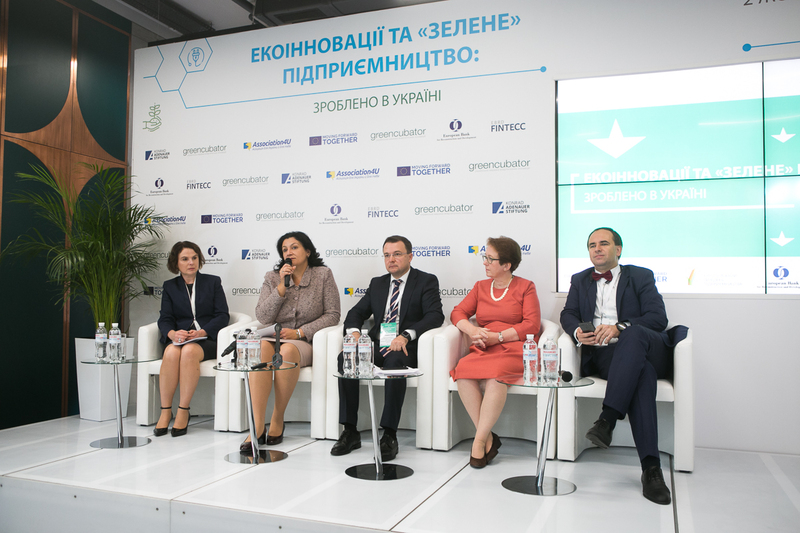 Deputy Prime Minister’s office set “Eurointegration — the power of possibilities” informational campaign, aimed at sharing information about successful Ukrainian businesses, supported by EU programmes. This campaign provides coverage of the new technologies, created in Ukraine and have been exported to the EU countries in accordance with Ukraine–European Union Association Agreement. — We have to talk loudly about all successful stories of Ukrainian companies, to make our country more prosperous. In a month three Ukrainian eco-startups will take part in a Global Grand Final of the world’s largest green business ideas competition ClimateLaunchpad, organized by Climate KIC from the European Institute for Technology and Innovations network. I know, that some of them are here today — I wish you all good luck in Edinburgh! To build a truly green economy we need coordinated efforts of all the participants: business, public authorities, decision makers. They all have to work together, support and implement eco-innovations to provide economic growth. 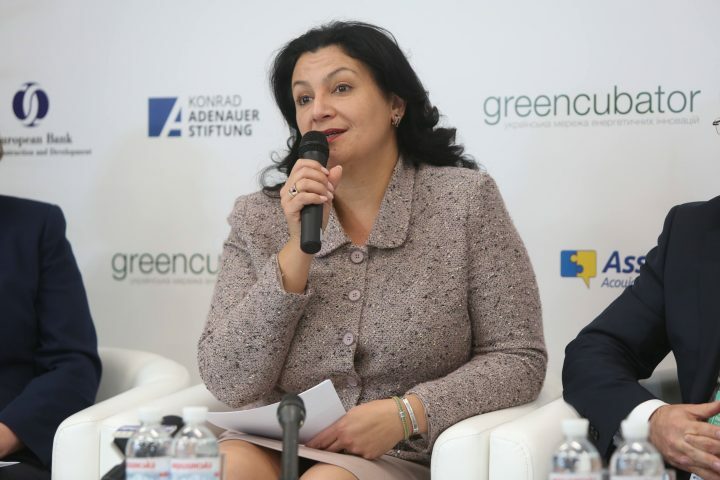 — I see Ukraine as a next biggest green growth point in Central and Eastern Europe. Development is impossible without innovations. And I wish good luck to all of us, transforming Ukrainian products, as well as eco-initiatives into global innovations. Posted in News and tagged Climate Innovations Vouchers, EBRD, Greencubator, Ukraine.